It is your right. 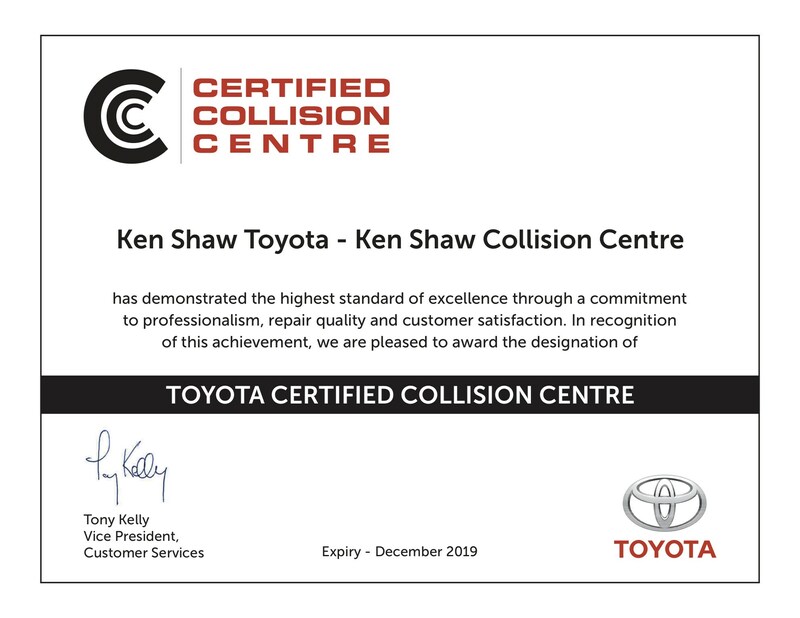 Chosen for our dedication to quality and customer service, only the Ken Shaw Toyota Certified Collision Centre follows the manufacturer standards to ensure that your Toyota is restored to pre-collision condition. You insisted on quality when you bought your Toyota. 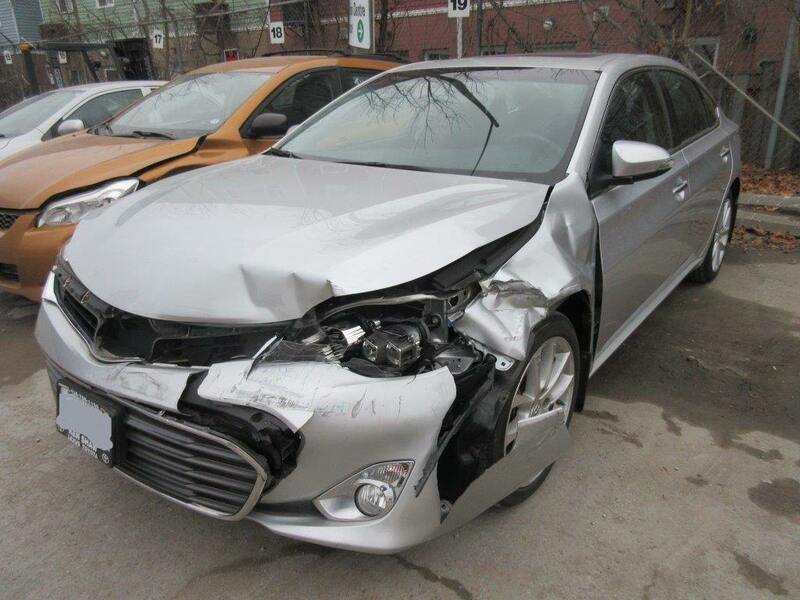 Therefore, you should entrust the repair to the quality dealer that you know. Insist on a Toyota quality repair through Ken Shaw Toyota. 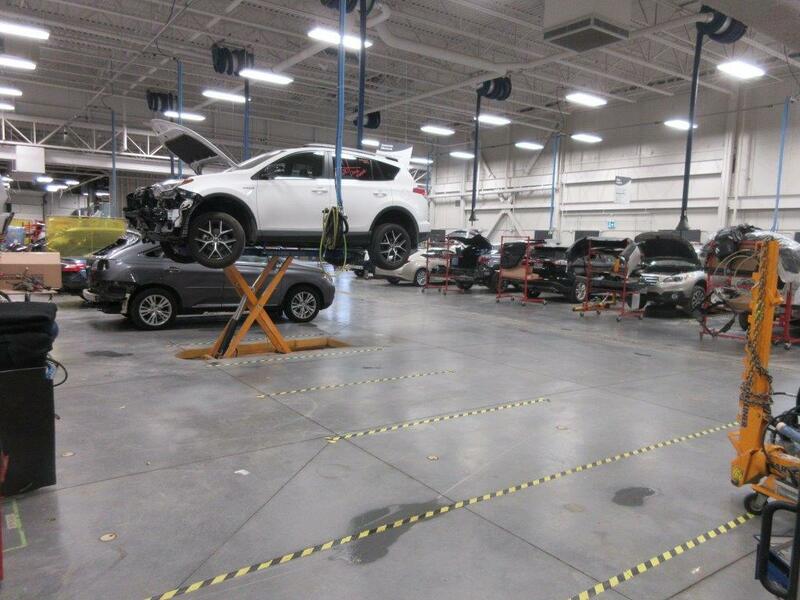 The Toyota Certified Collision Centre program is similar to the Toyota Production process used in the factory to produce your Toyota. Based on the philosophy of continuous improvement, the program continually monitors the facilities equipment, work process, the technician’s skills and customer satisfaction.. 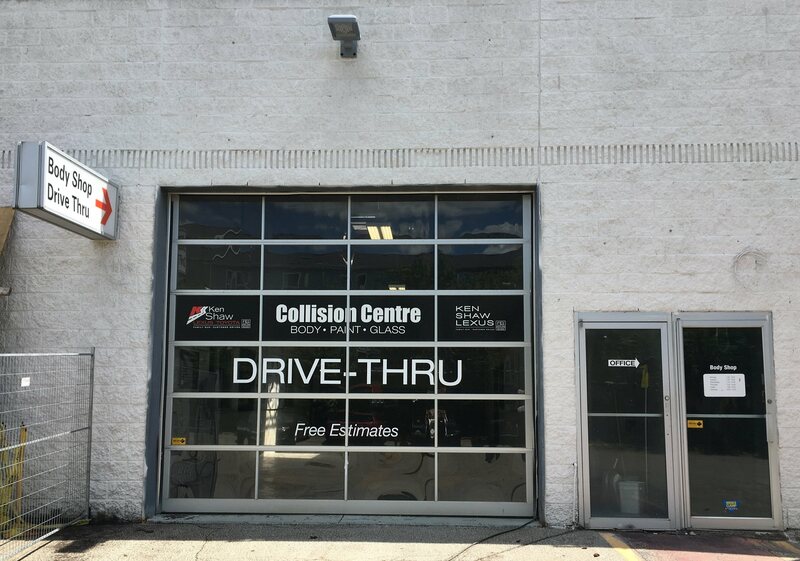 When you insist on the Ken Shaw Toyota Collision Centre for your repairs, you can rest assured that you will receive exceptional service from our uniquely qualified associates, whose focus is to ensure your comfort and satisfaction. Ask questions. Acquire assistance with Insurance Claims. Get back on the road in confidence. 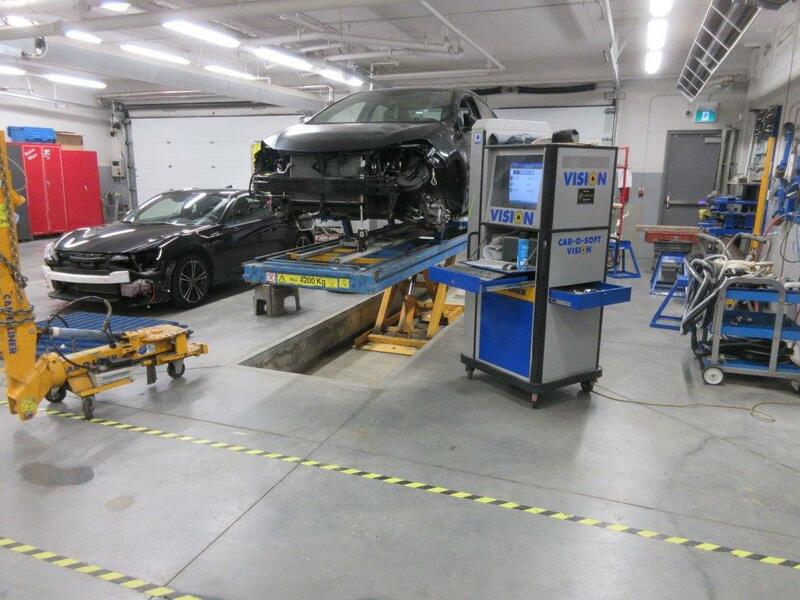 Our Licensed Body Technicians use factory measurement guides, state-of-the-art precision electronic measurement equipment and Toyota Genuine collision parts to ensure that your Toyota will function as it was originally designed: solid, silent and safe. Mixing and matching the paint to Toyota specifications, a Toyota Refinish Technician expertly applies each coat, restoring the lustre and durability of the paint finish.Having mixed and matched the paint to Toyota’s specifications, a highly trained technician expertly applies each coat. Therefore, you will never have to worry that the paint may not match. 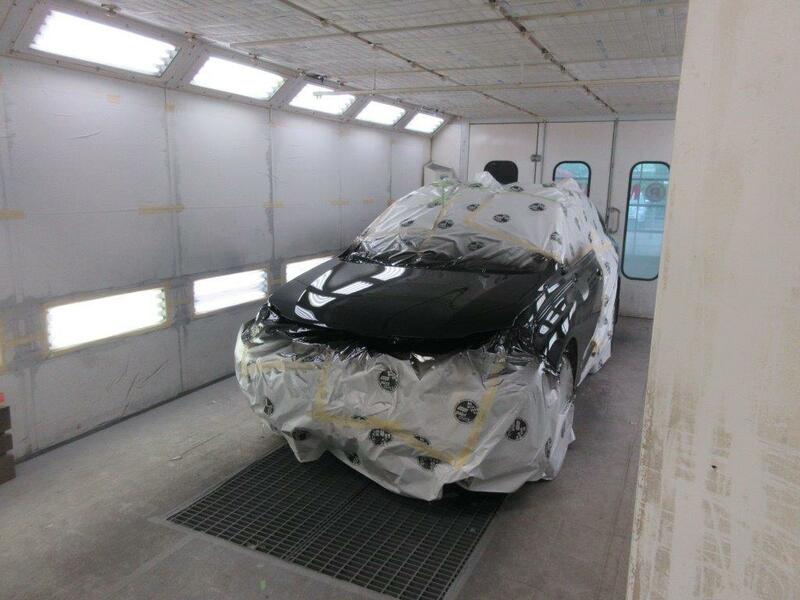 Ken Shaw Toyota offers a comprehensive paint guarantee. 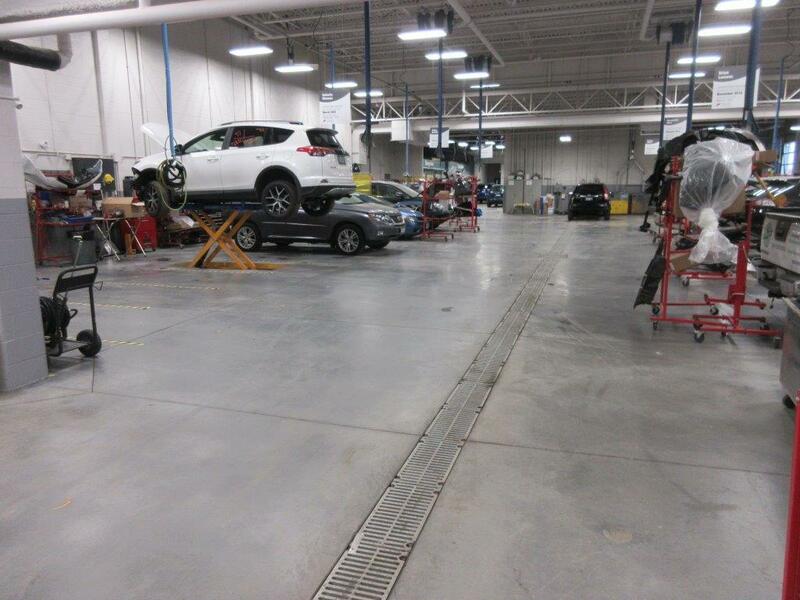 During the repair, Licensed Body Technicians reapply corrosion protection coatings, sealers, cavity waxes and body foams, restoring the quality of your rust protection and ensuring that your Toyota warranty is not negatively affected as a result of the collision damage. Anticorrosion materials damaged during a collision are expertly reapplied to restore the quality of Toyota’s rust protection. 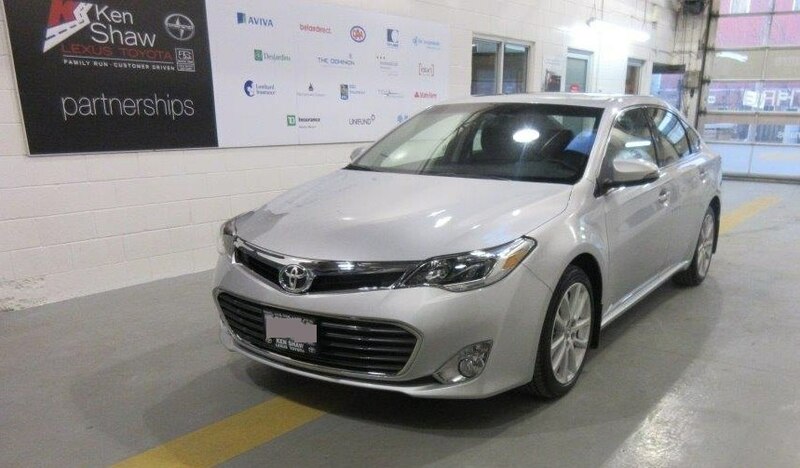 When you couple this with Toyota Genuine Parts, your Toyota warranty will not be affected. 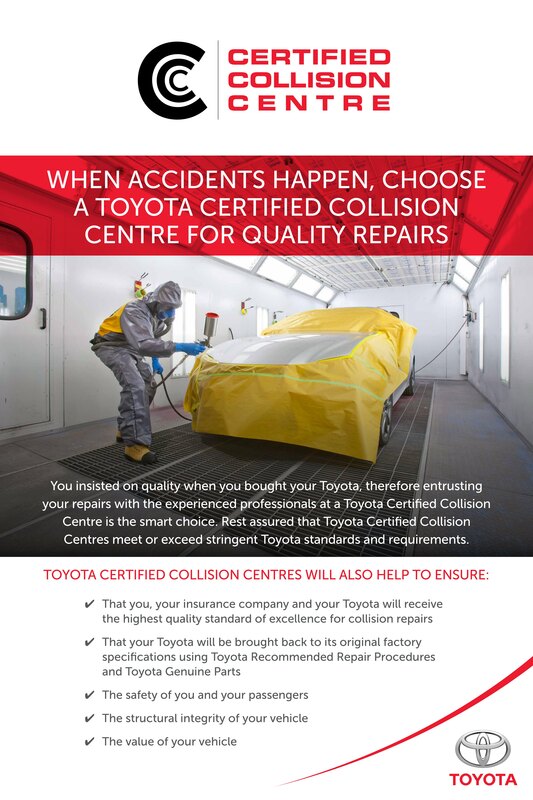 Our Toyota Certified Collision Centre Collision Team follow approved repair methods and have the support and training of the factory and head office, including access to factory repair manuals and bulletins, and factory specifications and measurements. We guarantee your satisfaction when you entrust a Toyota technician, using Toyota Genuine Parts, with your repair and restorations. 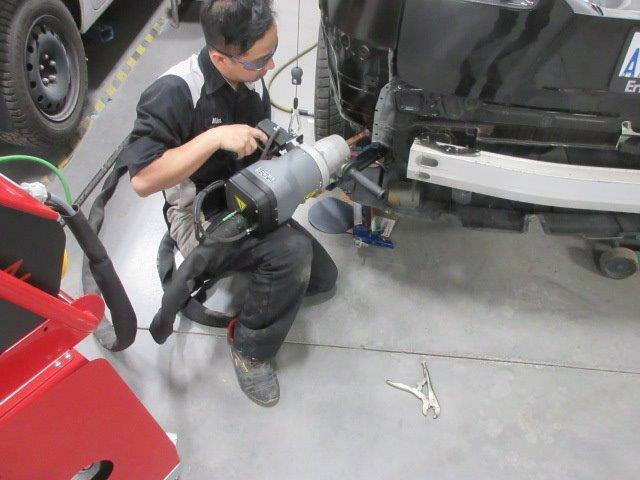 Our Toyota Certified Collision Centre maintains state-of-the-art tools and equipment, ensuring that Toyota Refinish Technicians have everything they need to complete the repairs to the highest quality – restoring your vehicle to “as good as new” condition.